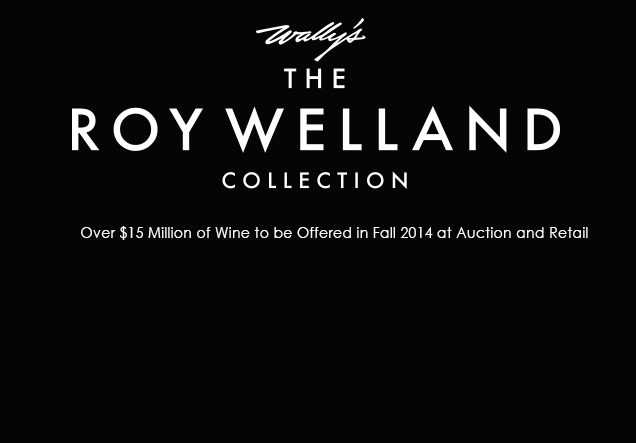 Roy Welland Will Consign His $15 Million Wine Collection To Wally’s. Just a year after it opened for business, Wally’s Auctions has snagged one of the world’s most impressive collections of Burgundy for the auction block, Wine Spectator reports. Roy Welland, owner of the now-closed Cru, the New York restaurant that became a clubhouse to the city’s top wine lovers, is consigning his collection to Wally’s. The New York-based house plans to sell the 100,000-bottle trove largely at two auctions this fall. Wally’s staff estimates the collection is worth $15 million. Michael Jessen, Wally’s Auctions president and CEO, says the first auction will likely be in September in New York, with a second auction later in the fall in Los Angeles. Some of the wines will be sold in online auctions while others will be sold by Wally’s retail team. While the wine auction market has grown slowly recently, demand for Burgundy has risen. And because the past few harvests have been small ones on the Côte d’Or, the appetite for older vintages has only grown.